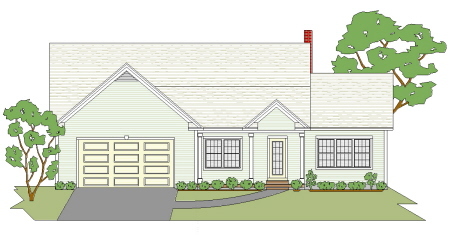 This charming 3 bedroom first floor living cape cod home plan with a garage has curb appeal to the max. It is one of our own personal favorites. Doesn’t it just say “put on the coffee grandma, were coming to visit”? The open concept floor plan and first floor living arrangement not only come as a surprise, but make the home feel much bigger than it actually is. It makes a great floor plan for those with teen age kids, or for retirement age people that like the charm of old style cape cod houses. 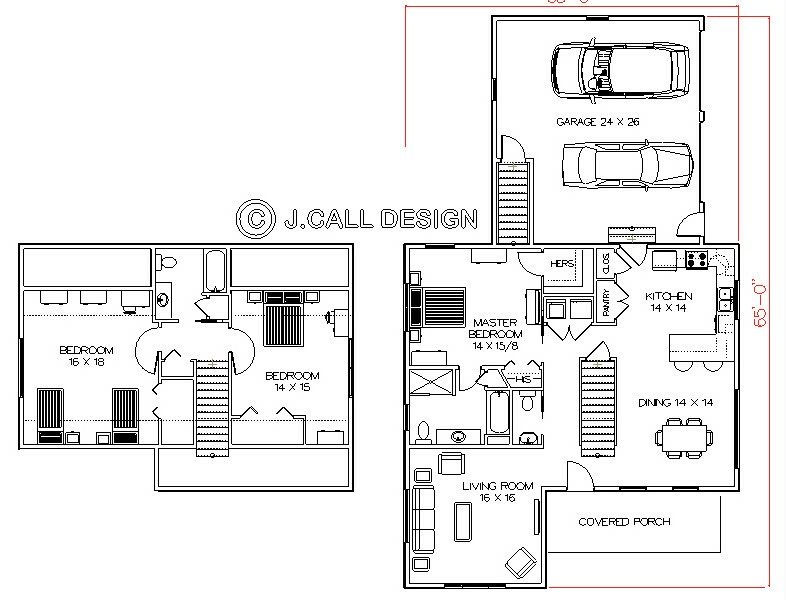 The 2 car garage has space above for storage, a recreation room or a man cave. 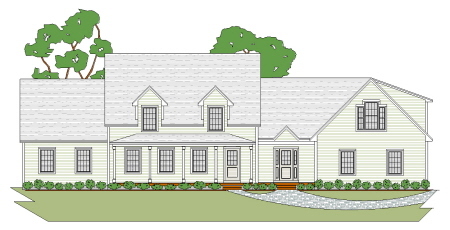 This first floor living 3 bedroom cape cod home plan will fit right in, in any New England development. The unexpected cathedral ceiling in the large open concept kitchen, dining, living room, and the large master suite are a great plus for the first floor. There are also large bedrooms for the kids upstairs too. The breezeway welcomes guests and the large garage with an option of storage or an additional family room or “man cave” above finish it off. 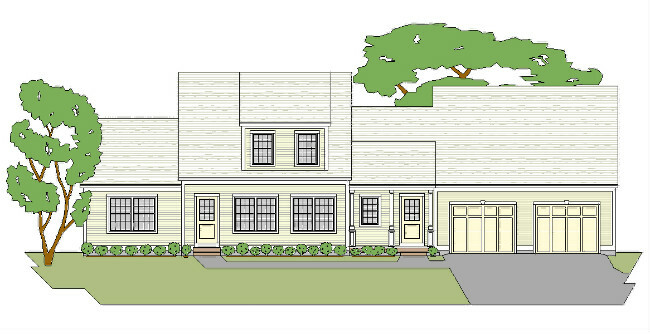 This double dormer 3 bedroom cape cod home plan may have old fashioned looks on the outside, but the inside is thoroughly modern. The first floor living plan with it’s country kitchen and open concept living, make it great for a family with teenagers or for retirement couples that want to live on the first floor and have rooms for the visiting kids or grandkids. Top that off with a large 3 car garage with enough room for that hobby car. 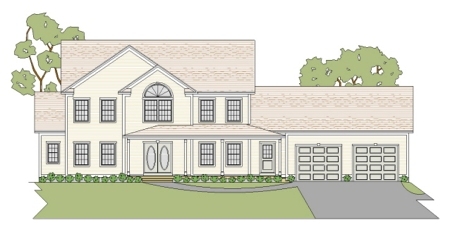 This 3 bedroom cape cod home plan is cousin to the Hartland A and offers all the same advantages. 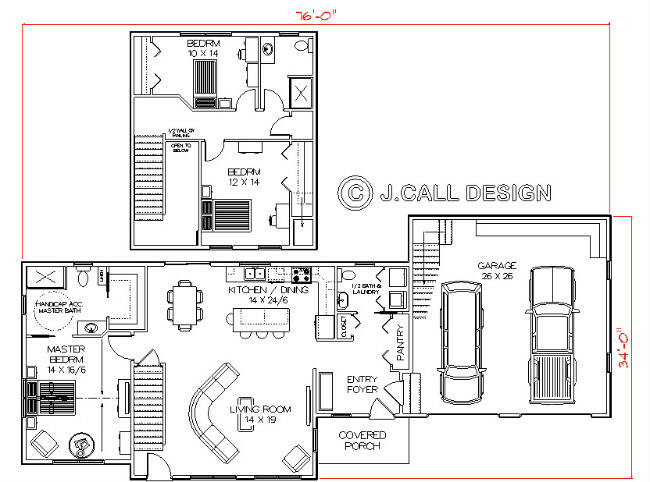 It has a similar but slightly different floor plan with a living room that offers more privacy. The upstairs offers the same large rooms and bathroom. Don’t have a hobby car? You can use the extra room in the 3 car garage for the garden equipment or kids toys. 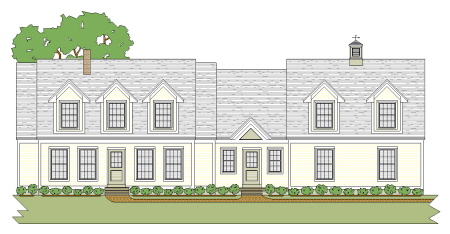 Could you ask for more curb appeal than what this adorable 3 bedroom cape cod home plan offers? 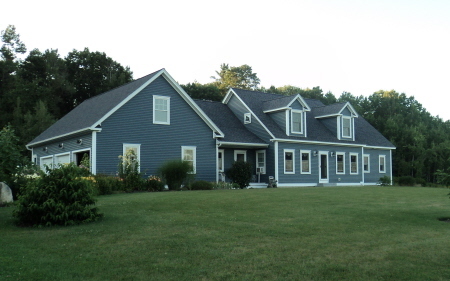 It has first floor living with an open concept country kitchen and semi-private living room. The comfortable master suite offers not only a tub, but a shower as well, and the upstairs needs nothing with 2 large rooms for kids or grandkids and a bath. The 2 car garage offers easy all weather entry into the basement. 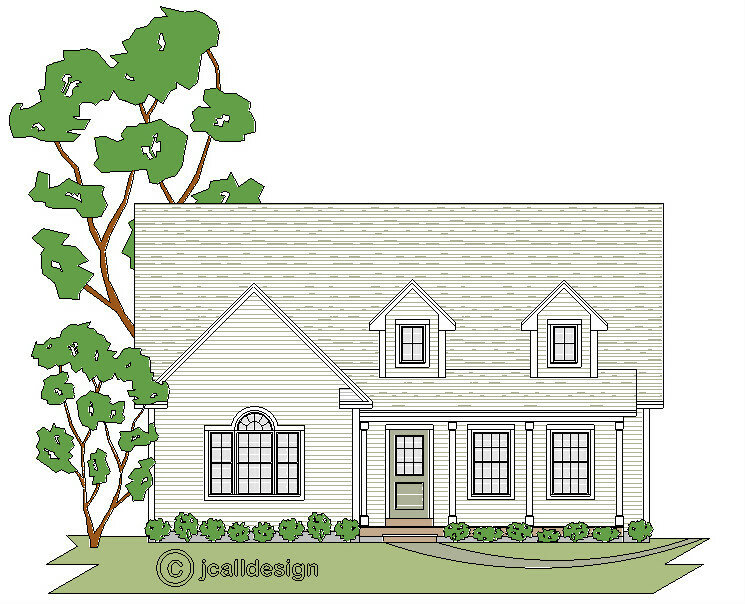 This New England style 3 bedroom first floor living cape cod home plan has plenty of curb appeal. It looks a lot smaller than it actually is. Your company comes through the breezeway before entering the large open concept kitchen, dining, and living area. 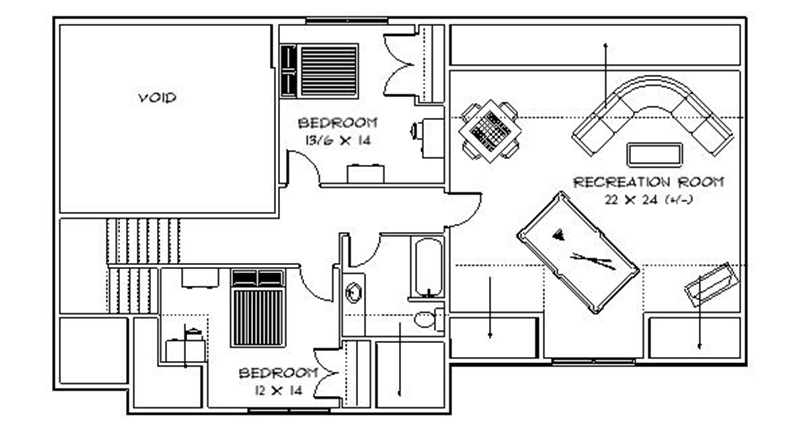 The master suite on the first floor is very comfortably sized and the two bedrooms up are larger than average size. The large 2 car garage has stairs to storage above. We offer an option of turning that storage into a recreation room or man cave. 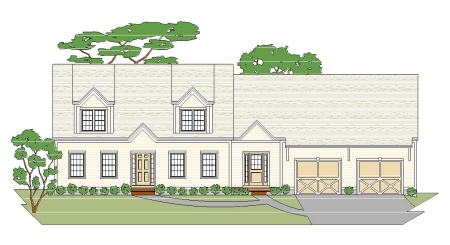 This first floor living 4 or 5 bedroom cape cod home plan features first floor living- a country kitchen, and large living room down, and large bedrooms up with the option of the larger one being divided into two rooms. The double duty bath upstairs means 2 kids can use it at the same time. 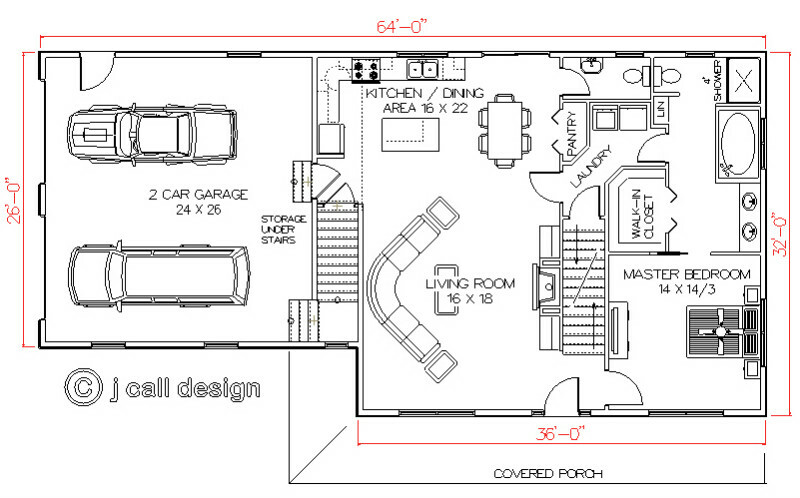 The oversize 2 car garage features an entry to the cellar and a family room or man cave on the second floor. 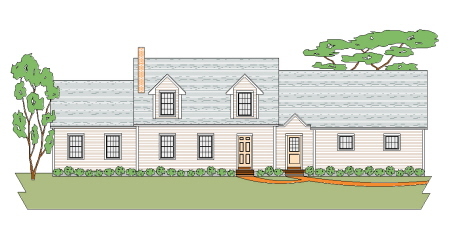 This upper class first floor living cape cod house plan features a wrap around front porch and barn style garage that add to the curb appeal. Downstairs a large country kitchen, formal dining room, large living room den, laundry, and master suite all work well together. The second floor features 3 bedrooms and a bath. The oversize 3 car garage has an entry to the cellar, and storage or a future man cave or recreation room above. 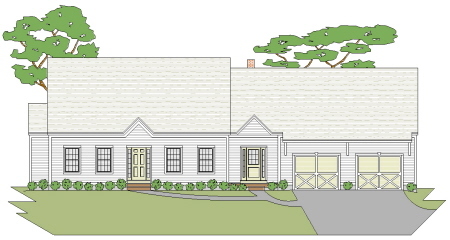 This more non-traditional first floor living 3 bedroom cape cod home plan offers many amenities. 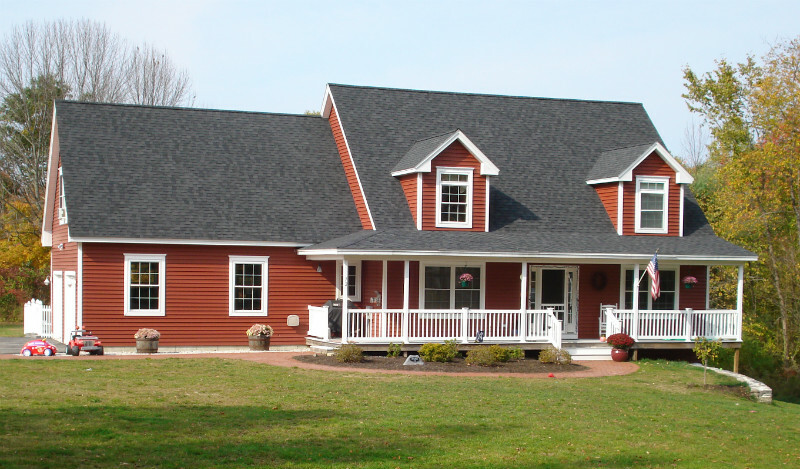 The first floor has a large country kitchen with a sunroom style breakfast area. It's living room has a fireplace and the master bedroom has a handicap accessible bathroom. The upstairs has two very large bedrooms for the kids, a large bathroom and a very large recreation room or man cave. The 24 x 24 2 car garage could be even larger if you wanted it to be. 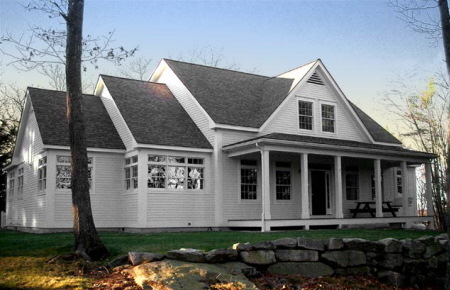 1st floor living 4 bedroom cape cod house plan with a porch, 2 car garage and workshop. 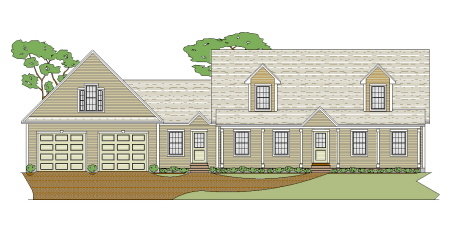 This 4 bedroom first floor living cape cod home plan is one of our own personal favorites. 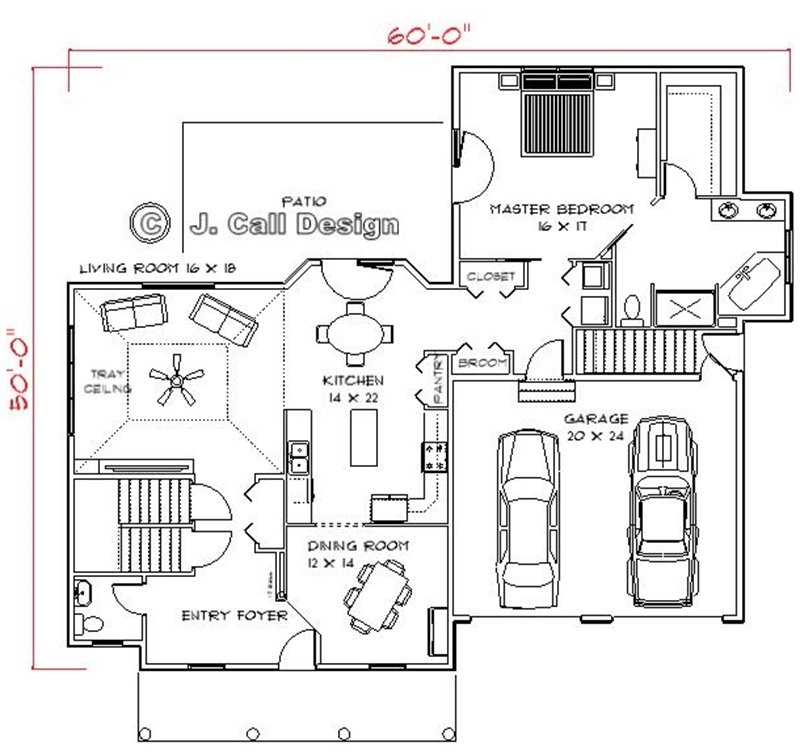 The large 28x38 garage and work shop don't show on these plans, but if you are interested in it please feel free to call and I'll send you the full floor plan. The amenities on this plan are so numerous I don't need to mention them, and I'll just let the plan speak for itself. 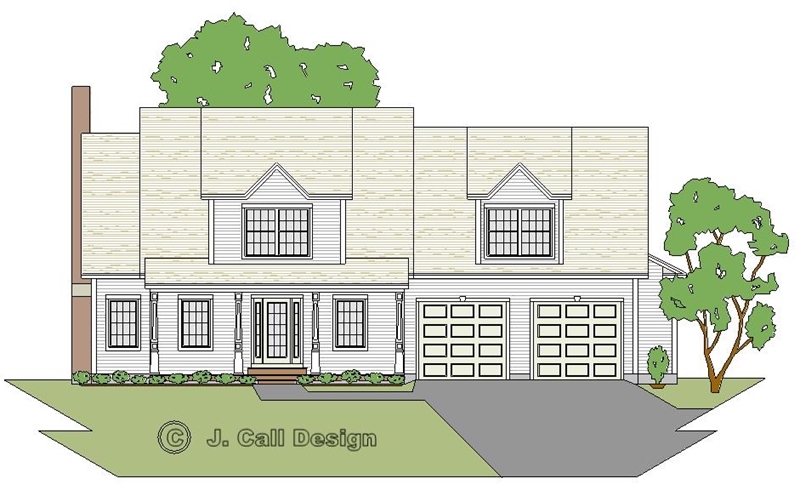 This attractive 4 bedroom first floor living modern colonial home plan has almost too many amenities to mention. the first floor has a kitchen with breakfast area; a formal dining room; a two story living room with a fireplace and cathedral ceiling, that extends right through to the two story foyer. and a master suite with a setting area. 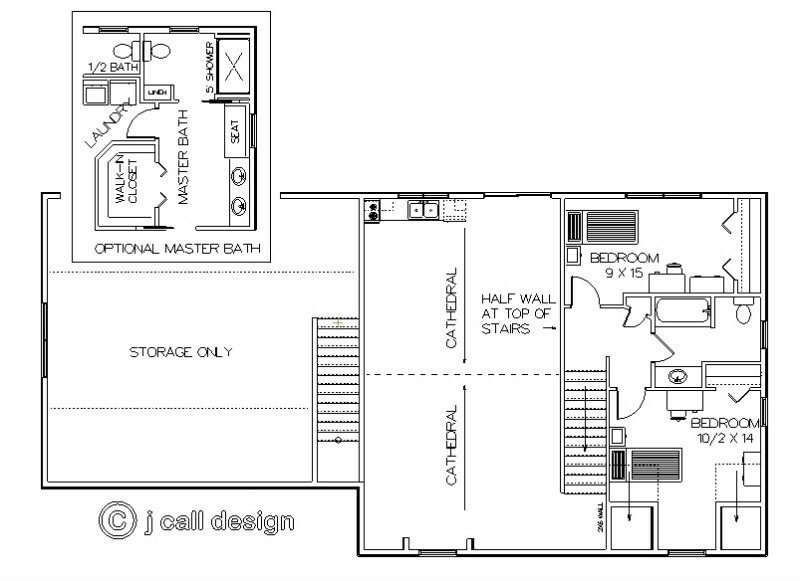 The second floor has 3 large kids rooms, a large double duty bath room, and a lounge or play area that looks below. If the 3 car garage isn't large enough we can grow it for you.